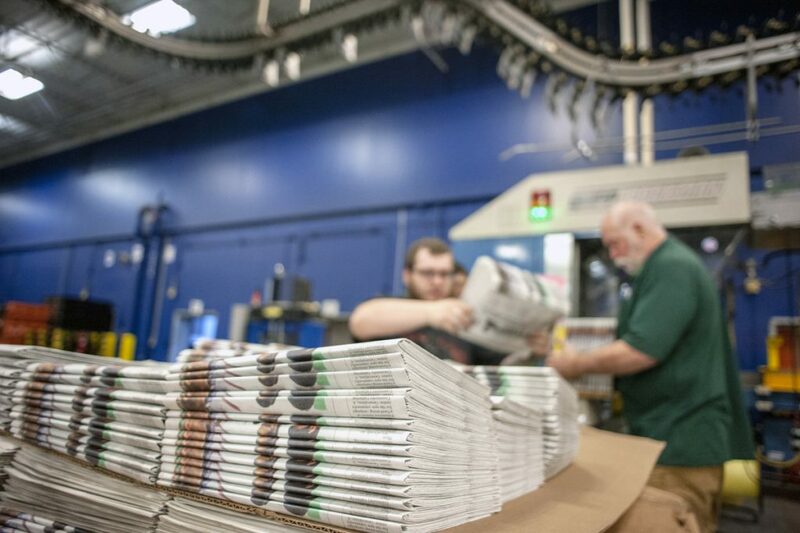 Recently imposed tariffs on Canadian newsprint are driving up U.S. newspapers' business costs. Critics of the paper tariffs say the businesses that will ultimately be harmed are not Canadian paper producers, but U.S. newspapers that will have to cut staff and reduce publication days to afford higher prices of newsprint – the sheets newspapers are printed on. The newspaper industry employs just over 150,000 Americans, which is about 276,000, or 65 percent, fewer than two decades ago. Boyle said his organization – formerly called the Newspaper Association of America – is compiling a survey from its members and nearly every publisher is exploring layoffs and scaling back news coverage. Steve Stewart, publisher of The State Journal in Frankfort, Kentucky, told readers in a March 30 column that the newspaper they were reading cost 10 percent more to produce than a few weeks earlier and could cost as much as 40 percent more in a few months. He said this will result in fewer pages, higher subscription costs and less non-local content. The newsprint tariffs reflect President Trump’s tough new approach to U.S. trade relations. Trump is engaged in a tense standoff with China over Beijing’s sharp-elbowed attempts to gain access to U.S. technology. He’s trying to renegotiate the North American Free Trade Agreement with Mexico and Canada. And his administration has wrangled with Canada directly over low-priced Canadian timber imports, Canadian barriers to U.S. dairy farmers, and now cheap Canadian newsprint. Publishers say Canadian imports are not the reason for the decline of U.S.-based paper mills, but rather a 75 percent drop in newsprint consumption over the last two decades.